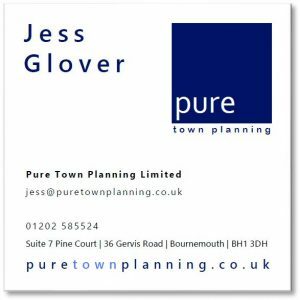 Jess joined the Pure Town Planning team in April 2017 and has since handled various householder and minor applications and appeals in the Bournemouth, Poole, New Forest, Christchurch & East Dorset areas and beyond. 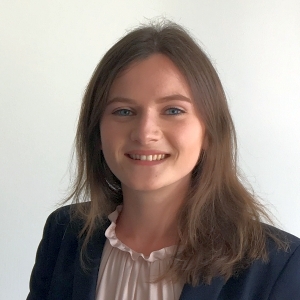 Alongside work Jess is currently studying part-time for a MSc in Urban Planning at the University of the West of England (UWE), with the aim to be a MRPTI Chartered Planner by 2020. Furthermore, Jess actively participates in the RTPI Dorset Young Planners group who regularly meet for CPD, lectures, socials and networking events. Prior to Pure Town Planning, Jess worked with a small planning consultancy in Wiltshire, researching into planning history, planning policy and providing an assessment on various residential and mixed-use urban developments. Jess studied at The University of Birmingham and gained a MSci (Hons) degree in Geography in 2016. During this time, she gained valuable experience working as an intern with a built environment design organisation, where she familiarised herself with aspects of good design practice and place-making. Away from the world of planning, Jess enjoys going on mini breaks around Europe. Most recently she visited Vilnius, Lyon and Budapest. Next on the agenda is Krakow and Prague (any other recommendations are welcome). Another thing most people are unaware of is that she plays the saxophone, piano and clarinet.